Heli-Max has combined Axe 100 CP agility with an aggressive brushless power system to create the Axe 100 SS (Super Sport Brushless). It has the same performance-proven flybarless collective-pitch head and TAGS three-axis gyro found in the CP, but expands the performance possibilities with a number of updates. A 14,750kV brushless outrunner motor and brushless 10A controller boost power. Other enhancements include an extended tail boom as well as a new frame and new rotor blades. 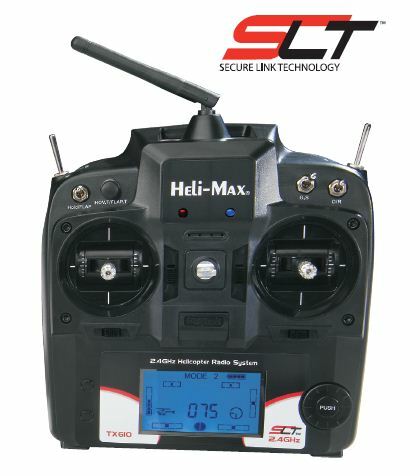 It’s perfect for the pilot who wants to push the limits — and it’s available as an all-in-one RTF with radio or in a Tx-R (Transmitter-Ready) version. – Brushless-powered for mastering the most demanding stunts. 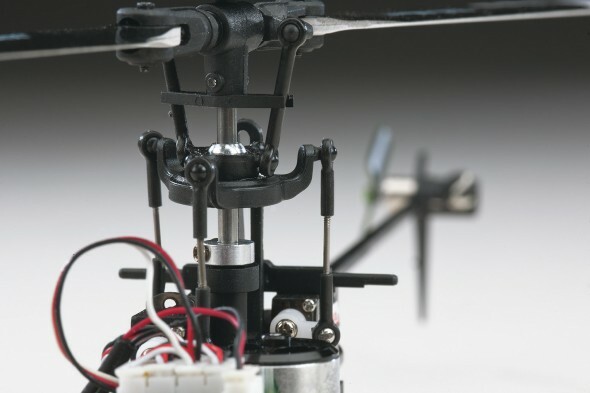 – Reinforced, molded airframe to accommodate brushless motor power. 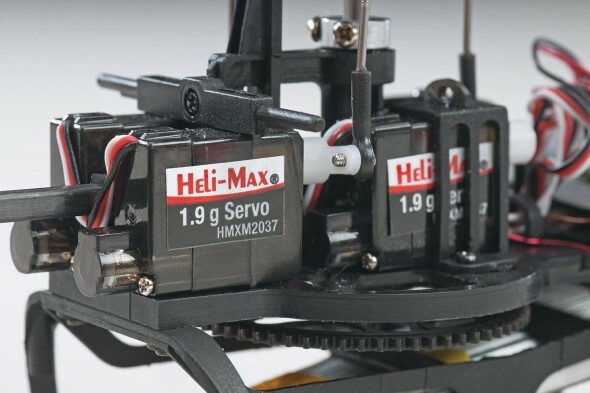 – Features an individual controller and servos to maximize performance and simplify maintenance.